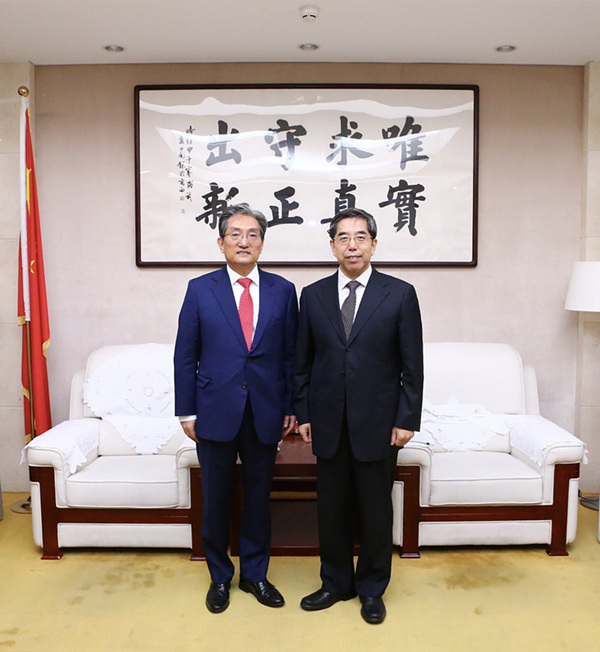 Ma Jiantang, Party Secretary of the Development Research Center of the State Council (DRC), met with South Korean Ambassador to China Noh Young-min on July 24. Ma introduced the functions of DRC and its cooperation with South Korea. They exchanged views on China's macroeconomic situation, Sino-US trade friction, China-South Korea relations, and further deepening of cooperation between think tanks in China and South Korea.